As a developer, Survios has been turning heads with their VR games. 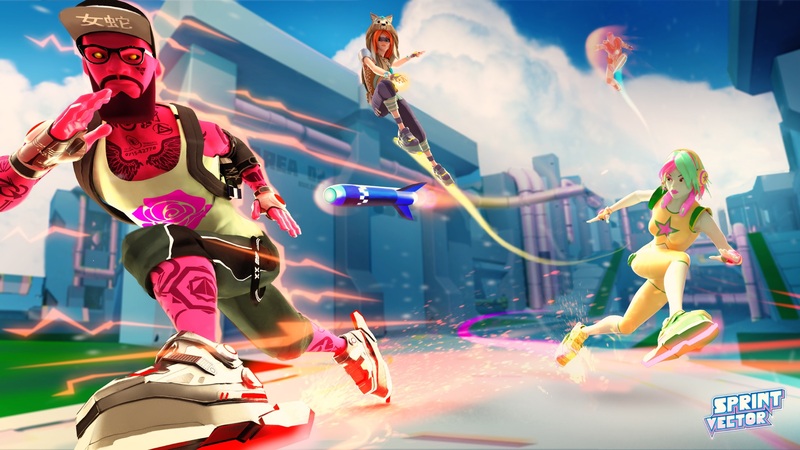 Raw Data’s gun play and robot demolition has captured my heart, while Sprint Vector has impressed with its high speed racing and acrobatics. In anticipation of next week’s E3, the developer has pulled back the curtain a bit on the latter, giving folks a peek at some of the recently added features that the full title will have. First is the blasting ability. Players take the role of one of many Flash like racers, moving at incredible speeds. Sometimes, things will happen to get in the way. Blowing these impediments up seems like a reasonable solution, and so it will be a viable option. Nitro and Slow Mine power ups will also be added in. As one would expect, the Nitro power up gives players and extra boost of speed, allowing them to make up for that corner they biffed, or just pull out further ahead. When getting ahead, it doesn’t seem right to make it easy on the losers left behind, so a Slow Mine has also been added. We are expecting to get some more hands on time with this one next week, and will be sure to report in much greater detail.